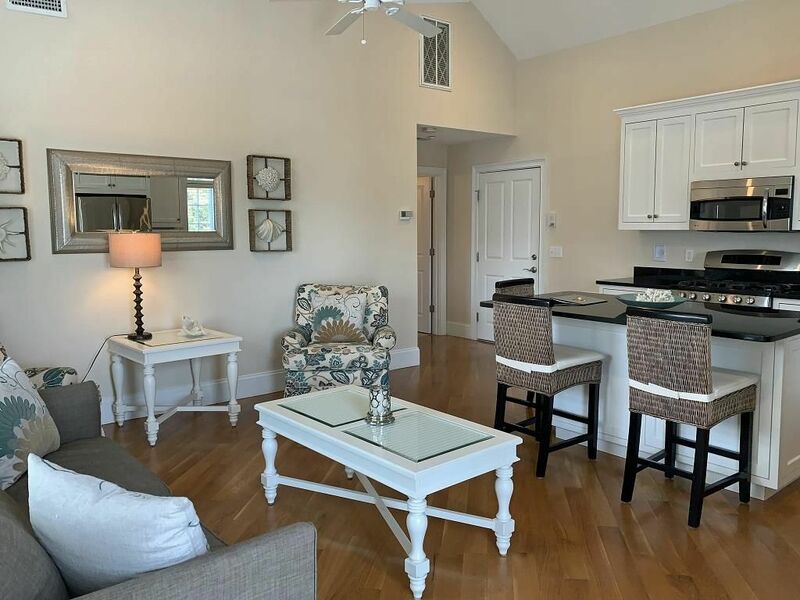 This newly constructed and listed second floor unit in Setucket Village is nestled in the center of Harwichport, just 4/10ths of a mile away from popular Bank Street Beach! This a one bedroom unit featuring a queen sized bed in the bedroom, pullout sleeper sofa in the living area, and a full bathroom. With the most requested amenities such as central a/c, wireless internet and gas grill, this unit is sure to please the whole group! Book today and enjoy your vacation in Harwichport! *Property is next to property ID# 1584. Rent both units to accommodate the whole family! (This unit has no landline phone). *Non-refundable $135.00 Administrative Security Fee. Linen package is available upon request for maximum capacity at an additional cost of $79.00.